As a tenured healthcare leader, I experience daily how harsh healthcare reform is and the toll it’s taking on community physicians. This is something we hear day in and day out from both physicians and practice administrators. They often share their challenges trying to leverage people, resources and infrastructure to meet new demands set through governmental and payer mandates, often noting it’s unrealistic or unattainable alone. As we embark on the future, AXIA is well positioned with unique capabilities to help independent practices succeed and flourish amid an ever-challenging landscape. As AXIA president, D. Patrick Easterling oversees and participates in key areas including consumer operations, value based purchasing strategies, corporate health and developing new services aimed at supporting community physicians. He brings over 25 years of healthcare experience to AXIA, and has held executive-level operations and finance positions at various healthcare organizations, including physician group practices, for-profit and not-for-profit community health systems, as well as nationally ranked integrated delivery systems. 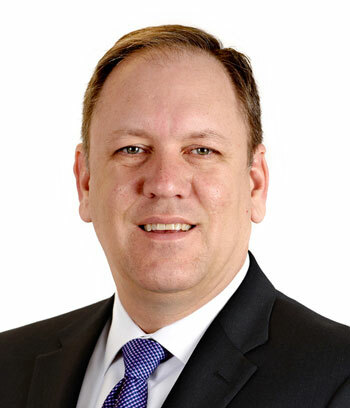 Prior to joining AXIA, Patrick held several key roles including senior vice president of consumer operations, chief operating officer for Novant Health Medical Group; chief financial officer for Novant Health’s greater Charlotte market; and director of finance for physician services. Under his leadership, Novant Health medical group grew from 250 employees to 1,020 while operating loss per physician decreased and revenue per physician increased. Patrick has worked for Novant Health on two separate occasions. 2008 through 2013, Patrick oversaw a physician-employed network of 1,431 primary care and specialty providers in more than 300 locations across 16 states in his role as Health Management Physician Network president. His experience also includes co-founding The Greenleafe Group, which served several key industry clients, including Bon Secours Health System, Charlotte Eye Ear Nose & Throat Associates and Charlotte-based EMS agency, MEDIC. And his resume also includes seven years in various finance roles for Gaston Health Care (now known as CaroMont Health), a large community health system in Gastonia, North Carolina.